Does the thought of visiting your dentist give you anxiety? Maybe you have an invasive procedure coming up and you worry about feeling pain? No matter the reason, EPO Dental Specialists can help you relax and enjoy a pain-free visit with sedation dentistry in Richardson. Our team of experts is specially trained to safely administer the ideal sedative to ensure your comfort during your visit. 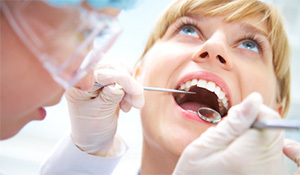 Sedation dentistry involves the use of medication to help patients relax during dental appointments or procedures. Contrary to common belief, you are not asleep while you are sedated. Instead, you reach a deep level of relaxation to the point you may fall asleep; however, you can still respond to the dentist’s cues. Difficulty keeping the jaw open. Difficulty laying in one position. Need multiple or invasive procedures. 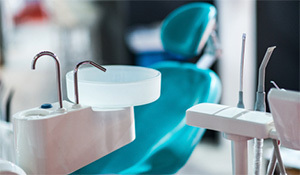 Your endodontist in Richardson determines which type of sedation best meets your needs during an initial consultation. Our office offers 3 types to meet your needs. Better known as “laughing gas,” nitrous oxide is an inhaled sedative that is delivered through a mask that is worn over your nose. It consists of a mixture of the sedative and oxygen to help you relax. The amount administered is easily controlled to cater it to your individual needs. After your appointment, the gas is turned off and its effects quickly dissipate. 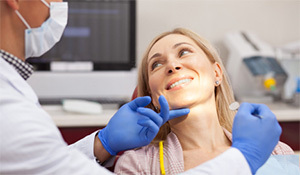 Oral sedation is a prescribed medication that can range from minimal to moderate in strength. It is given about one hour before your appointment to help you relax. You may feel a bit drowsy. You may even fall asleep, but you can be awakened easily. It can take a couple hours for the sedative to wear off, so you will need someone to drive you home from your appointment. The sedative is delivered intravenously, which allows us to control the amount that is administered. It takes effect quickly, allowing your fears and anxieties to fade away. You will reach a high level of relaxation to the point you will not be aware of the sights, sounds, or smells of the office. You will not feel any pain or discomfort. In some cases, you may not even remember the appointment. After your procedure, the sedative is stopped, and it will take a few hours for its effects to dissipate. You will need a friend or loved one to drive you home, and it is best to limit your activities for the remainder of the day. If an upcoming dental appointment is making you feel uneasy, we can help you conquer your anxieties to ensure a comfortable visit with sedation dentistry. Contact our office today to schedule a consultation.